Anyway, if Israel nationalism depends on the Bible’s stories of David and Solomon being historical, then kiss it goodbye. It finally happened. The Jerusalem Post has declared archeology itself anti-Semitic. To tell you the truth, I am frankly worried about some of my colleagues who are committed Zionists having difficulty in dealing with reality in the wake of the severe difficulties facing the Zionist project in historical Palestine. Caroline Glick’s inaccurate and angry attack on me in the Jerusalem Post reminded me again of why I am anxious about the Closing of the Zionist Mind. Glick is actually alleging that anyone who practices critical history of the ancient world or the Middle East in general is thereby an anti-Jewish bigot. Glick, from Chicago, was a captain in the Israeli army and a judge advocate-general during the first Intifada or Palestinian uprising against the Israeli occupation of the West Bank, which the Israeli army brutally crushed. She seems to be going off the deep end, having made herself notorious with the sick satirical video ‘We Con the World,’ which made fun of the civilian aid workers killed by Israeli commandos on May 31 of this year (and which appears to have had some backing from the Israeli government itself). I don’t know if Captain Glick ever was not a zealot, but the bitterness and extremeness of her comments are now to the point of irrationality. It is not just she. I’ve been at conferences where committed Zionists in the audience would afterwards approach me and, with a sort of glazed look in their eyes, give me a little set speech, then abruptly walk away. I initially always think they want to have a discussion. They don’t. They want to engage in some sort of strange ritual speech to exorcise the doubts I raised. They want to tell me off and then escape before I can reply. One time some Orthodox students approached me at a conference to say that in their reckoning, Israeli settlers on the West Bank had almost never done any harm to anyone and maybe in total had killed 14 persons, for which they were sorry. I was frankly outraged. I mean, what world did these university students live in? Had they never read even one academic book on the effects of the Israeli Occupation on the Palestinians of the Palestinian West Bank? Why invent fairy tale statistics, and what is with the passive aggressive ‘apology?’ There is something wrong with this way of thinking, and it is a kind of group think that reinforces itself in small, tight, communities of discourse. Last month, I was at a conference where a prominent academic at a prominent university gave a whole series of set speeches on various occasions.. Hamas is a terrorist organization that says it will never negotiate with Israel. Iran is near to being able and willing to nuke Israel. It was like a series of mantras to ward off any real, critical thought. When I told the person he was being essentialist, he was taken aback, then in a passive aggressive way, said he ‘hoped’ that what I was saying was true. It is so weird dealing with people who are supposed to be critical thinkers by trade who, when it comes to Israel, suddenly exhibit all the originality of a mynah bird. And they don’t let you get a word in edgewise once they start. And they constantly imply, with body language and innuendo, that you are misinformed or actively lying. Other strange features of this discourse are the disregard for any evidence that contradicts the set talking points, unwillingness to seriously reconsider positions in the light of such evidence, the repetition of key phrases in an impenetrable way, the allegation that critics said things they never said, and insistence on demonizing the source of the alternative evidence. I got exactly the same treatment in the 1970s from Maronite Christians in Lebanon and in the 1990s from pro-Milosevic Serbs, and recognize the condition. It is Failing Nationalism Syndrome (FNS). Not all national projects succeed. There are by some counts 5000 ethnic groups in the world of a sort that could be the basis for a nation-state, but there are only about 190 countries. Some political projects, such as French Algeria (dominated by colons or colonists as a privileged group) or a Christian-dominated Lebanon, get going but just don’t have staying power. Algeria is now an almost wholly Muslim country, and Christians in Lebanon, while still powerful and numerous, are probably down to less than a third of the total population. But if we went back in time to 1935, we could sit at cafes in Algiers or Beirut and talk with these two about the future of their countries, and the ones in Algiers would have said that Algeria’s fate was to always be a part of France, and the Lebanese Maronites would talk have talked about their majority being strengthened and about the Phoenician identity of their country in the future. Since the government of Israeli prime minister Binyamin Netanyahu is doing its best to run out the clock on a two-state solution, the only two plausible outcomes in Israel/Palestine in the coming decades are long years of dreary Apartheid or a one-state solution. It is not plausible that the Israelis will be allowed to keep the Palestinians stateless and without, ultimately, any real rights, forever. So Zionists (Israel nationalists) are increasingly suffering from Failing Nationalism Syndrome, and it is causing them to flail about saying the strangest things. ‘ One of the most prominent anti-Zionists today is Prof. Juan Cole from the University of Michigan. Zionism is just Israel nationalism. Nationalism is of two sorts. It can be a sane patriotism in which people take pride in their identity and pull together to achieve national projects of self-improvement. Or it can be an aggressive, expansionist, grasping and destructive movement that exalts the in-group over out-groups and disadvantages or damages the latter. The second sense of the word ‘nationalism’ was the more common in the 19th and the early 20th century. So, I am not an anti-Zionist in principle (and it is weird that Glick would accuse me of being one), since Israel nationalism is fine with me as long as it is of the first sort. Any nationalism of the second sort, I roundly denounce, whether adopted by Jews, Arabs, or Melanesians. It is the virulent sort that Closes the Mind. ‘ Part of being a successful anti-Zionist involves claiming that Jews have no right to the land of Israel. So to be a good anti-Zionist, one needs to deny Jewish history. Glick is the one who is out of touch with reality. She cannot bump into a single monument from the period 1000-900 BCE in today’s Jerusalem. The position I hold is what is called the ‘Copenhagen school’ or ‘biblical minimalism,’ and it is a perfectly respectable academic movement. I think all archeologists and historians would hold it if some were not religious believers in the Bible. It is people like Capt. Glick who are politicizing archeology and tampering with science. There is no evidence for a monotheistic cult in Canaan in the period leading up to 1000 BCE. Monotheistic Judaism appears to have been invented in the Babylonian exile or perhaps a little before, and the fables of a great kingdom of David and Solomon were woven together then. The Assyrians were the gossips of the ancient world and they wrote down everything that happened in their clay tablets, and even talk about minor Arab queens in the Hijaz, and they didn’t know anything about a magnificent kingdom of David and Solomon with palaces. If these figures existed at all, I suspect they just had really, really nice tents, not golden palaces (which by the way have not been found despite what ideologues like Glick assert). Historical Judaism was a reformation of Canaanite religion over a period of time. (Some readers asked me who I thought was carried off to Babylon in the first place, and the answer is simple: Canaanites, perhaps those of a certain religious cult, but very possibly not the sort of monotheist depicted in the Bible). ‘ Cole’s allegation is the academic equivalent of Louis Farakhan’s claim that white people are devils planted on earth by aliens. As an anti-Zionist anti-Semite, it was just a matter of time until Cole traveled into the fetid swamp of denying the historical record to facilitate his false claim that Jews are not a people and therefore are bereft of rights as a nation to our national homeland. I don’t know where she found a quote by me saying that the Jews are not a people. She doesn’t actually seem good with like, evidence. But peoples anyway are not eternal essences. They are formed over time. All I am saying is that her timeline for the formation is off by several hundred years. Anyway, if Israel nationalism depends on the Bible’s stories of David and Solomon being historical, then kiss it goodbye. But note that my point in the Salon article was not that Israelis had no right to be in Israel but rather that they have no right to expel all Palestinians from Jerusalem ( Yes, that is what Israelis of Glick’s stripe are doing) . Glick’s shouting is designed to cover up an ongoing set of crimes against someone else, by painting herself the victim of, horror, biblical minimalism of an academic sort. And note Glick’s segue from calling me an ‘anti-Zionist’ to calling me an ‘anti-Semite’ because I won’t accept the bible at face value as a privileged text without some kind of supporting evidence (and in the face of contrary such evidence). I’ve gotten so I really don’t care about being called a bigot by people who are very obviously bigots.. And I am afraid that pretty much everyone is getting that way, which is a shame. Because the history of anti-Jewish bigotry in the West is cosmically ugly and should not be trivialized. I’m still looking for evidence of anti-Semitic muck in anything I’ve written, as opposed to just practicing history. And, I’m glad she thinks me a success, but lets face it, I’d have gone much further in conventional life if I hadn’t gotten on the wrong side of strident fanatics such as she. But, I was never interested in a conventional career. I have a sneaking admiration for Hunter S. Thompson that I doubt very many deans share. ‘ What makes contemporary anti-Semitism unique is its purveyors’ great efforts to hide its very existence. Their motivation is clear. Outside the openly genocidal anti-Semitic Muslim world, most anti-Semites are self-described liberals who claim to oppose bigotry. For these people, pretending away their prejudice is the key to their continued claim to enlightenment. If all that ranting makes sense to anyone, they should please explain it in terms that sane people can understand. Some of it is just guilt by association and conspiracy thinking. Glick let slip at the end what is really going on. She is a cultist, who sees the world as black and white, good and evil. She and her movement are pure good. Those who oppose anything it does, including Apartheid, are evil. And since the world will increasingly oppose Israeli Apartheid against the Palestinians, we are in for lots more furious rants and character assassination like Glick’s. The Closing of the Zionist Mind, so evident in Glick’s weird column, is dangerous because a cult-like, black and white mindset is the first prerequisite for a turn to violence and it makes compromise and flexibility impossible. But what the Mideast needs more of is reasoned, humane, complex openness to change, to negotiation, to seeing the Other as human. Glick is foreclosing that process, and in so doing is helping dig the grave of Israel as we know it. Luckily, most Israelis I know are nice people and Glick is not representative, so maybe I’m wrong to see a trend here as opposed to just a supremely annoying and ignorant individual. Good article. I just wish every one could get it through their heads about what this conflict is really about. Its very simple really. I have been married to a Palestinian for 18 years. His family all from Gaza. A very large very old family. My father in law remembered life there before “israel” became a “state” on top of his family’s private properties and lands. He is the eldest of his family and in charge of all their land holdings. He and his family never left their homes or properties. Much of their properties are not only in Gaza but on the side of the line that the world now refers to as “israel”. So ISRAEL HOMELAND FOR THE JEW AND THE JEW ONLY was created ON TOP OF MY PALESTINIAN FAMILY’S PROPERTIES! Not like here in the US the way our native people were done. No. They did not document land ownership here back then. But the people of Palestine did document theirs. They have deeds and titles to their properties just like we do here in the US. Even the British recognized the Palestinian people’s ownership of their own properties when they were occupying Palestine. And so did the Turks when they occupied it. Both brutal occupiers also BUT at least they did not take by force the personal houses and properties owned by the native Palestinian people! ONLY THE EUROPEAN VICTIMS OF HITLER DID THAT! These colonists, victims of Hitler, came from Europe after WW2. They came by boat loads and they came fully armed. The British would not allow the people of Palestine to be armed. They were not even allowed to carry a knife over a certain inches long. And as soon as these European victims of Hitler began arriving in Palestine they started up conflicts with the natives. The British solders did not like this and some of them tried to settle things down but the victims of Hitler came there determined to REMOVE THE NATIVE PEOPLE OUT OF PALESTINE. Their own zionist leaders came there from the start saying publicly that the only way Palestine could be theirs was to remove the native population that was already there. REMOVE THE NON JEWISH POPULATION TO MAKE ROOM FOR A TOTALLY JEWISH POPULATION! These European victims of Hitler claimed they were Jews and their holy book says that God gave them that land and they have come to “re claim” it. But these people are not related to any of the Native Jews of Arabia. Not at all. They are not descended from them at all. They have no proof what so ever that any of them ever came from there. They are just people who happen to believe in the religion of the Native Arab Jews of the Holy land. So what. I believe in a religion that began there too. Does that make me blood kin to there? Does that make me owner of that place? Does that make me a descendent of people who have always lived there? NO it does not. Palestine is not like America. It is not huge vast amounts of lands no one was or are living on. Its a small place and IT WAS ALREADY inhabited BY PEOPLE before the victims of Hitler arrived there. I am not saying the victims of Hitler had no right to migrate to another place after WW2. But when you migrate you must look for a place to live after you get there. Someone must be willing to lease to you or sell you a place to live. If the people who already live there are not willing to do that THEN YOU SIMPLY DO NOT HAVE ANY PLACE THERE TO LIVE. You don’t get to just TAKE BY FORCE a place for you to live from the people WHO ALREADY LIVE THERE! My father in law told me that before the European colonist victims of Hitler arrived in Palestine claiming that they were Jews and they were there to collect the land that “God gave them”… he said that Arab Palestinian people were made up of Jews, Christians and Muslims. They had been living in Palestine for hundreds of years with no conflicts between them. They lived as brothers and sisters and were even friends. They were like we are here in America. Neighbors. But all worshiping God in different ways. That was the only differences between them. There was no problems between Jews, Christians and Muslim Palestinian people before the victims of Hitler came to Palestine and TOOK BY FORCE, THE PERSONAL PRIVATE PROPERTIES OF THE NATIVE PALESTINIAN PEOPLES. And then rendered them homeless, stateless and refugeed. The Palestinian people, the ARAB people, want their properties back. They will always want their properties back. They will NEVER EVER give up trying to get their properties back. It is a horrible thing what Europe did to its Jewish population. What Germany did to them. BUT PALESTINIAN PEOPLE HAD NOTHING TO DO WITH ANY OF THAT. And when the European zionist victims of Hitler claim that because of what Germany did that all Jews every where need one place to call home, one place that will be for them and them only well…. my friends…. all I have to say to that and all Palestinian people have to say to that is…..
Palestine owes them nothing because Palestine never served Germany or its Hitler. Nor will Palestine pay what it does not owe. Not willingly any way. If it is taken by force that is all it will ever be. “FORCE”. And if you knew Arab people like I know Arab people, then you would realize a very important fact…..
ARABS WILL NOT EVER EVER FORGET WHAT HAS BEEN TAKEN AND STOLEN FROM THEM BY FORCE. Not even after a thousand years has passed. Arabs will give you the shirt off their backs if you are their friend. But you ever do them wrong, you ever lie and steal from them…. Then you are nothing but their enemy until you return what you have taken that never did and never will belong to you. Its all nothing but a huge property dispute people…. thats what its about…. thats what it will always be about. Fix that. The conflict ends. Good read. I even believe that the roots of circumcision were to curtail the male libido, but wasn’t widely adopted historically because it made homosexual experiences less painful and therefore more likely to be repeated. Frankly, humanity should have evolved past the point where converts to a Stone Age tribal superstition can claim rights over land, based on an expulsion myth. Otherwise (as I have said before) I will convert to ‘Catuvellauni’ and lay claim to half of Essex. Shame on Professor Juan Cole for knowing the languages of the region and being able to judge for himself based on facts at hand, and even greater shame for knowing the archaeology and history of the region enough to offer opinions contrary to official hasbara! Politics is a component of all archaeological interpretation, but openness and peer review help keep it honest. Zionist archaeology is as absurd as “Soviet” archaeology, in which each bit of evidence was scanned for thought crime, political correctness, and support of political goals, with ridiculous results that crippled a generation of research. But Israel is America’s best friend ever, and they are just repeating what God said, and the fact the Holocaust occurred proves anything and everything Zionists claim – unless you want to see more Jews die, of course. I stand with you, Prof Cole, in calling Zionists on their BS. I’ve HAD it. I hope other scientists will have the courage to take a stand against these outrageous attempts to politicize archaeological research and extort compliance with accusations of “hate crimes” and the penalties these accusations might entail. Enough! One word: cult, with a capital C. alot of jews beive history propaganda concerning thier tribe, and America is one big cult too. or any other cult where children grow into it. I went through a year of hell with that, and watched ‘inside job” become “mossad job’ in 2 years at the main alt news sites, at least the real ones. And now we sit waiting to see what sets off TSHF scenario where slef defense and preparedness come into play. . There must be some reason that history as a compulsory subject has been withdrawn from most school curricula all over the Western world. So was Latin. No wonder then, that the propaganda as a knowledge substitute makes wonders on illiterate people. I have the feeling that history IS a forbidden subject in many a school! And the Bible has been so heavily edited so many times that I wish I could get a copy with… the authograph. Even though… hardly anyone reads the Bible, page by page, some people feel expert on the Koran although they have never seen a copy. I remember, a very agigated lady was trying to ‘educate’ me that it was actually Arabs who ‘invented’ a suicide concept of killing others.. My argument was that it must have been a Jew because the first one mentioned was Samson. ‘Oh, yes’, said the woman, ‘but he was defending his land’. My point, is that too many people are unfamiliar with both the Bible and history. Then they fill the black hole with slurs and abuses. 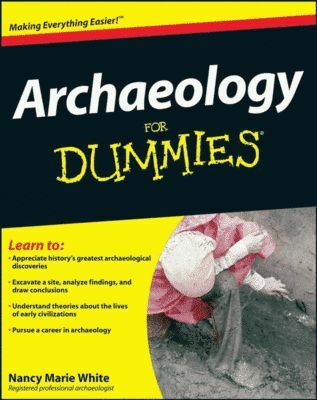 Idiots like Glick do not even understand that archeology and telling truth can actually help the Jewish people. If anyone is anti-semitic.. The truth about heliocentric system once was forbidden by the Church. First they used the science of genetics, but then found that 90% of Israeli Jews who they claimed were ‘descended from the ancient Hebrews’ were in fact European Caucasians’. So they knocked that on the head and now turn to Archaeology, vainly looking for proof of the myths and fables they believe are historical facts. They might as well be looking for the tooth fairy. If only Spielberg would come around to this point of view… then we might get somewhere! Well, then we’ll have to close the Archaeology department of TelAviv University where Professor Finkelstein works because he’s one of numerous professors who are currently saying that archaeology and the bible DON’T MESH. The Bible Unearthed is likely the source of this new claim on the part of the eternal ‘victims’. It’s an amazing book which, in summary, says, the bible is basically wishful thinking, written by men to create a history where there was none; to instill a sense of nationalism in a people who were essentially a ragtag collection of tribes in the middle east. Highly recommended reading. Mr. Wheless single-handedly debunks any claims of divine inspiration on the part of biblical adherents by demonstrating that the bibls fails the test of truth at almost every turn, contradicts itself every other page and contains much less divinity than man-made vice. Glick is a former IDF intel officer. Methinks she still is. Take a look at the film thank you for smoking. It explains her position nicely, the idea is she’s not there to actually make a cogent point, or argue with you. She knows she’s wrong, she knows you know she’s wrong. but you’re only one person. Why spend hours trying to convince you when she can just put that up and have a bunch of people see it as a confirmation of what they already believe? Fran – history is full of nasty thought-provoking facts, such as the Germans claiming that a radio station was attacked by the Poles after they slaughtered a bunch of German citizens in Poland. Oh and there’s that Reichstag incident, to name but a couple of things that make 9/11 questioning legitimate.